The comment, made by the mayor to radio host John Gambling during a Friday morning interview on WOR-NY, comes on the heels of a New York City Council decision earlier this week to create an independent inspector general to oversee the police department’s practices amid allegations that law enforcement wrongfully targets blacks and Hispanics with its stop-and-frisk program. 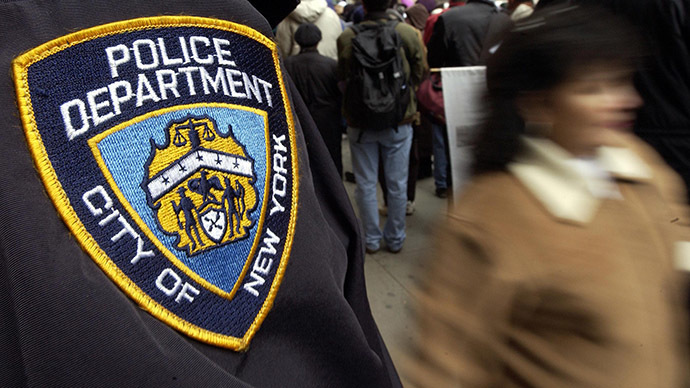 Speaking on the air, the mayor dismissed the suggestion that the New York Police Department needs to have an auditor examine its stop-and-frisk program. 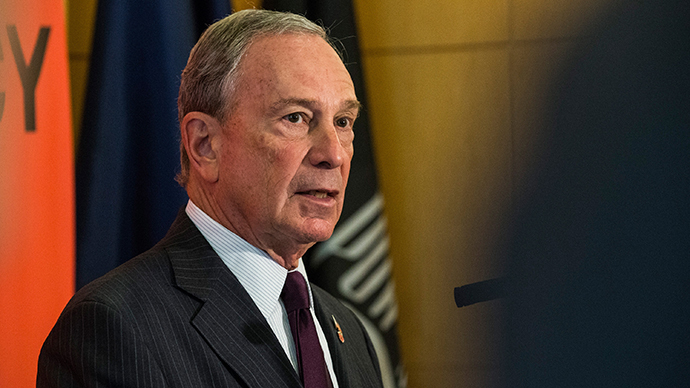 In fact, Mr. Bloomberg defended the recently released statistics detailing the scope of the stop and frisk program and damned the notion that law enforcement is illegally singling in on minorities in the Big Apple. “One newspaper and one news service, they just keep saying ‘oh it’s a disproportionate percentage of a particular ethnic group.’ That may be, but it’s not a disproportionate percentage of those who witnesses and victims describe as committing the [crime],” Bloomberg said. “In that case, incidentally, I think we disproportionately stop whites too much and minorities too little. It’s exactly the reverse of what they’re saying. I don’t know where they went to school, but they certainly didn’t take a math course. Or a logic course,” Bloomberg added. 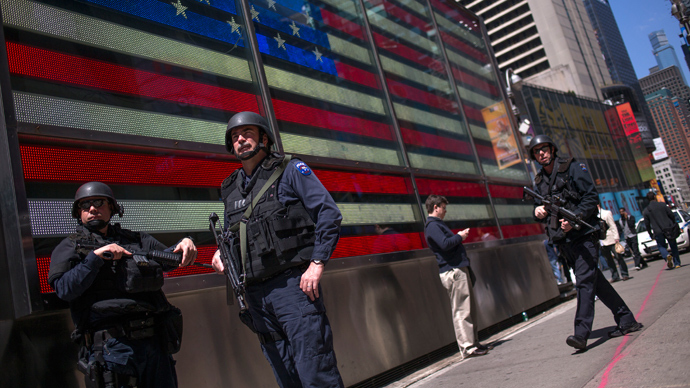 Earlier this year, the NYPD released a report showing that of the 685,724 stops made by the force in 2011, 87 percent of the people questioned were either black or Latino, while fewer than one-in-ten of those stopped were white. During that same span, however, only around half of the city’s total population was either black or Hispanic, leading many to say the department was picking and choosing who to stop on the street. When the Public Advocate went over data for the NYPD’s 2012 statistics, it found that while 84 percent of those stopped were black or Latino, the likelihood that an African American would yield a weapon during a stop-and-frisk was half that of white New Yorkers stopped on the street. When it came to discovering contraband, cops were a third more likely to find illegal items on the person of a white suspect. 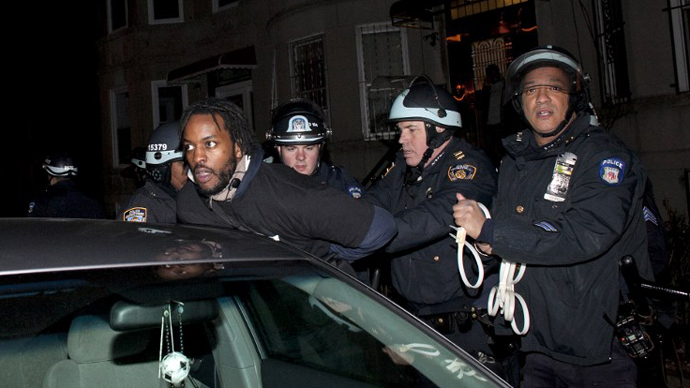 “It will do nothing to handcuff or prevent the Police Department from ensuring that all of us are safe,” James added. 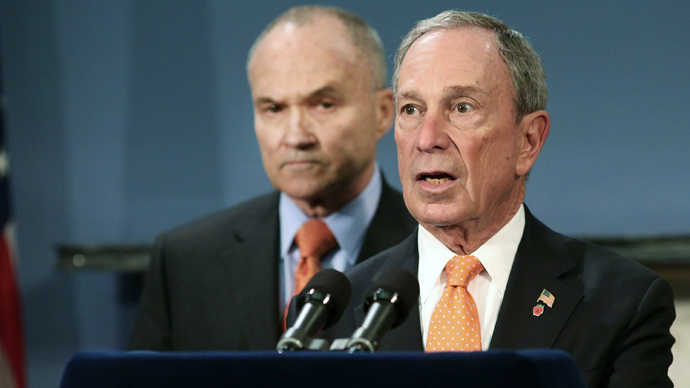 The council also decided this week to more broadly define what the city constitutes as “racial profiling,” but Mr. Bloomberg said he plans to veto both that ruling and the movement to install an inspector general to oversee the stop-and-frisk program. Shortly after Bloomberg spoke on WOR, the mayor’s office issued a statement to the website Politicker explaining that while minorities make up 87 percent of the NYPD’s stop-and-frisk cases, blacks and Latinos are responsible for more than 90 percent of the murders in the city.